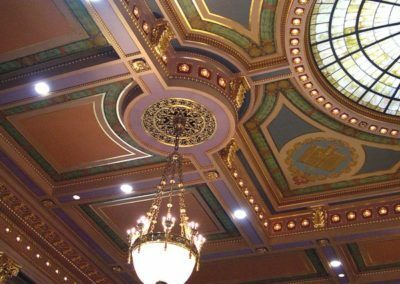 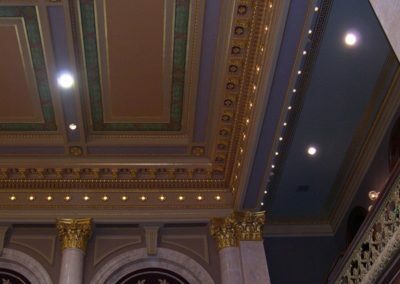 To provide investigation and documentation of the original decorative schemes in the two legislative chambers at the Iowa State Capital; and, to restore the decorative painting and conserve the murals at a pace to accommodate the schedule of the state legislature. 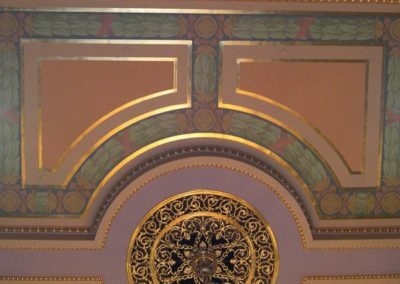 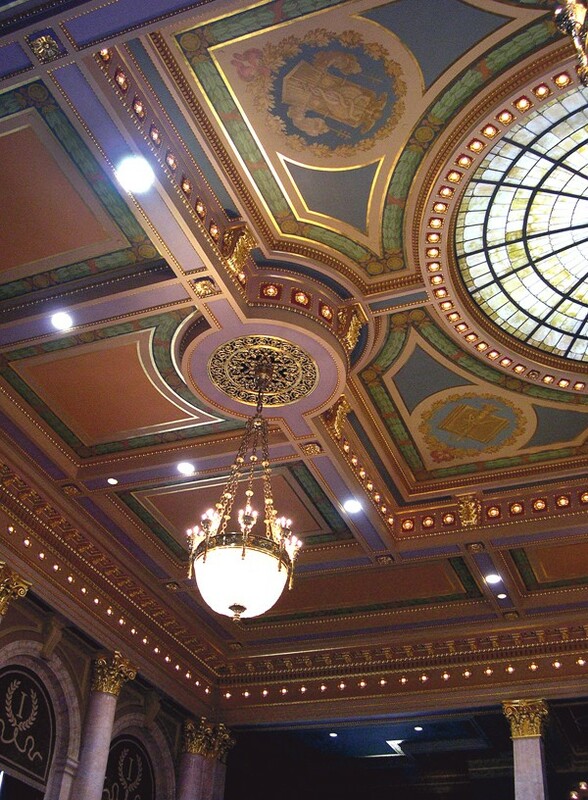 CSS also previously provided exterior gilding for four of the Capitol’s domes in 1997. 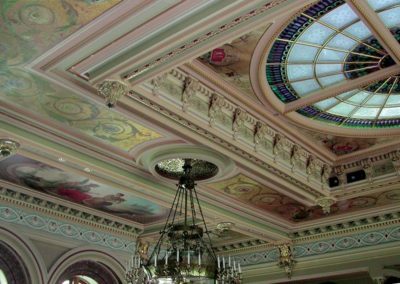 An extensive crew of conservators, artists and decorators was sent to Des Moines, Iowa in an effort to meet the tight deadlines. 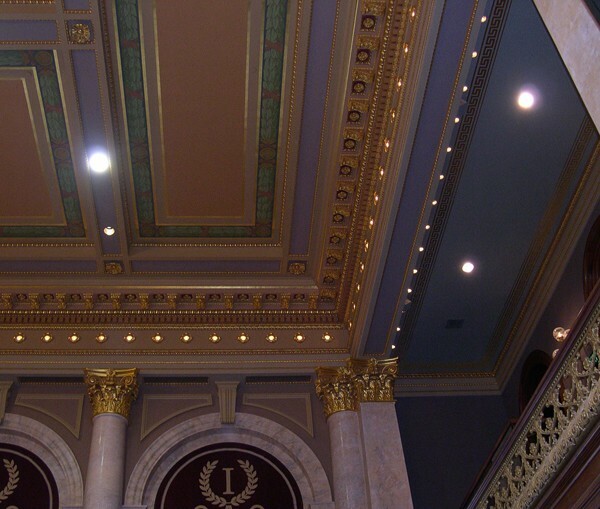 The interior of the Senate Chambers is original, dating to 1884, while that of the House Chambers was reconstructed in 1904, following a fire. 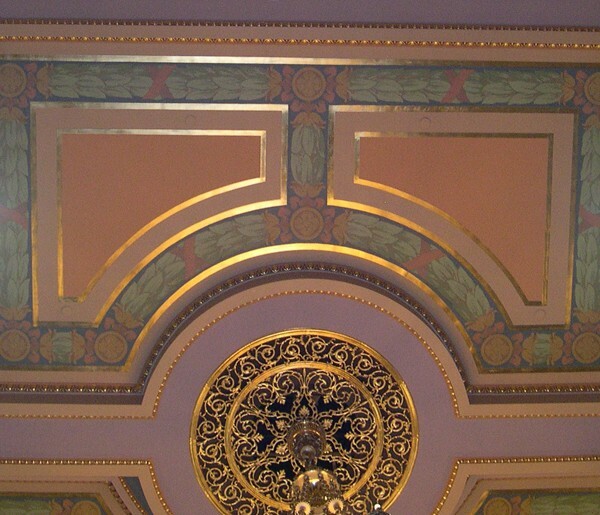 The work included the conservation of six large murals in the Senate Chambers, restoration of decorative arabesque mural bands; plaster consolidation and restoration of column capitals, rosettes and other ornamentation; as well as the conservation and restoration of gilding, trompe l’oeil (“fools the eye”) and other decorative painting and glazing. Heavily damaged or lost artwork was re-created.